Stainless steel pans are superdurable, versatile (they can go from stovetop to oven) and easy to care for. Cooks love them precisely because they do what nonstick skillets don’t—make food stick (slightly) to the bottom. The crusty browned bits left in the skillet after searing meat are crucial for making a sauce. 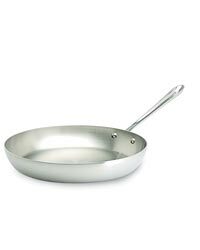 Since steel is a poor conductor of heat, manufacturers add layers of aluminum or copper to stainless steel skillets; these pans are often advertised as three-ply (or tri-ply), five-ply or seven-ply, which refers to the number of layers. In general, the more layers a pan has, the more evenly it heats. 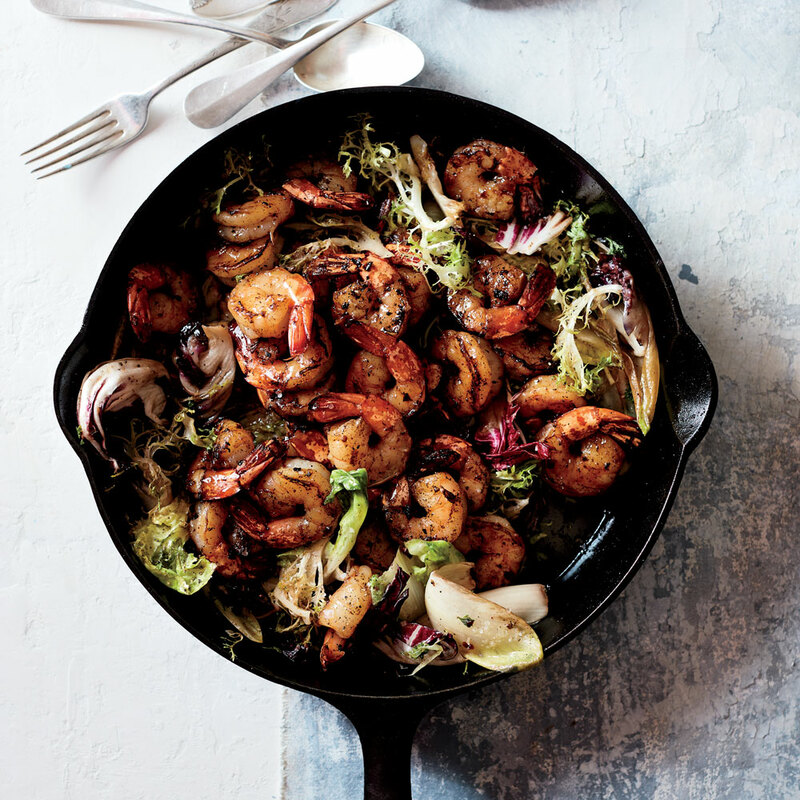 A skillet should be easy to lift with one hand yet still feel slightly heavy. Lighter skillets are thinner and often have hot spots, so they tend to burn food. The sides of a stainless steel skillet should be as thick as the bottom. Otherwise, any food touching the edge is likely to burn. Most new stainless steel pans will work on induction cooktops. To test, see if a magnet sticks to the skillet. The best way to clean stainless steel pans is to scrub them with an abrasive sponge. Occasionally, a cloudy residue builds up on pans after cooking starchy foods like pasta or potatoes; it can be removed with a little vinegar or lemon juice. Despite the name, stainless steel can stain—oxidizing and turning amber—when exposed to temperatures above 500 degrees for more than 10 minutes. The discoloration is harmless but permanent. Higher-quality stainless steel pans are less likely to oxidize. 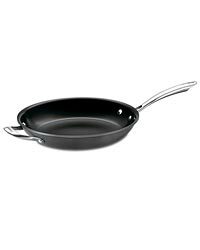 All-Clad French Skillet 13-inch $150; 800-255-2523 or all-clad.com. The Healthy Kitchen from Weil by Spring Switzerland 12-inch $120; 800-955-1550 or drweil.com. Mauviel M’cook 12-inch $240; 302-326-4803 or mauviel.com.